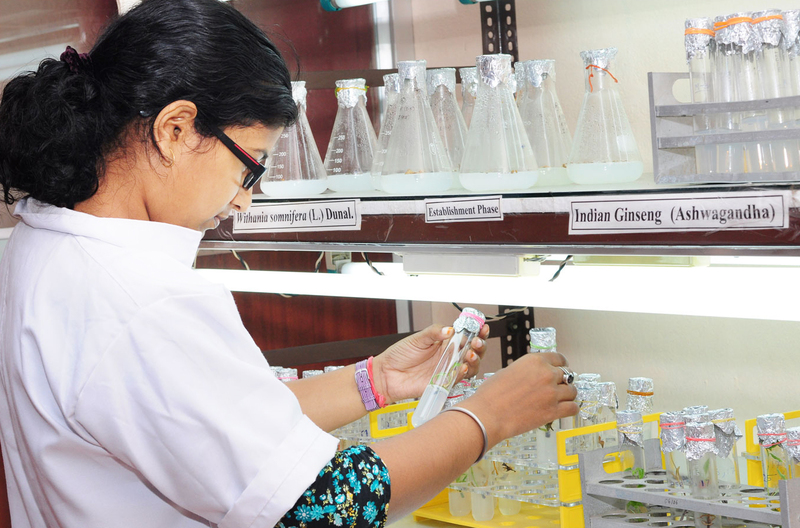 TSBS offers bachelor’s (honors) degree course in biotechnology, which provides the students with an enriching attire of subjects such as chemistry, mathematics, statistics, and computer applications in the formative year. In the subsequent two years of their study, emphasis is laid on basic biotechnology curriculum. The design of the curriculum (Utkal University syllabus) provides a high-throughput knowledge of subject specializations including microbiology, immunology, biochemistry, molecular biology & genetic engineering, plant and animal cell & tissue culture, genomics and proteomics, IPR and bioethics, bioprocess technology and downstream processing that contributes efficiently towards the honors degree curriculum. Programme for Master’s degree curriculum in Biotechnology offers intensive classroom teaching as well as laboratory and industrial exposure at regular intervals. There is a concerted effort in developing inquisitive qualities and thinking ability among students through the project internship programme in the final semester through in-house pilot-scale research programmes and support from distinguished R&D institutes. Students are given strong insights in both theoretical and practical aspects of individual subjects. 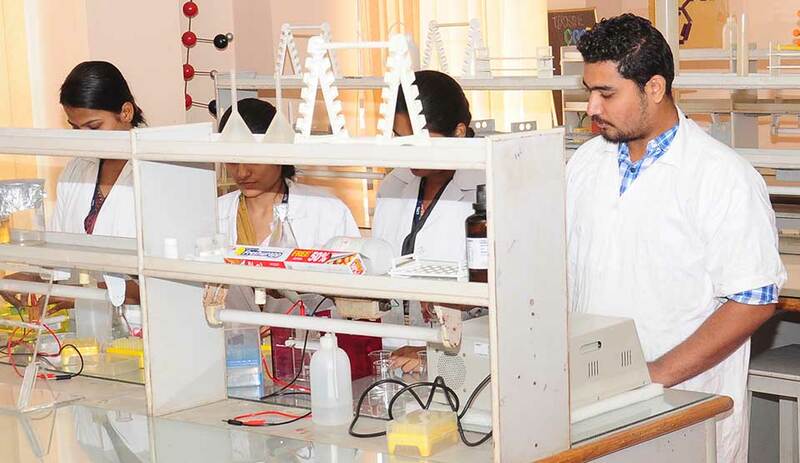 The department has adequate infrastructure facilities, well equipped laboratories for conducting teaching-learning process and research in the frontier areas of Biotechnology such as Plant Biotechnology, Animal Biotechnology, Marine Biotechnology, Industrial Biotechnology, Medical Biotechnology, Microbiology, Biochemistry, Immunology, Molecular Biology, and Genetic Engineering.